SKU: N/A. 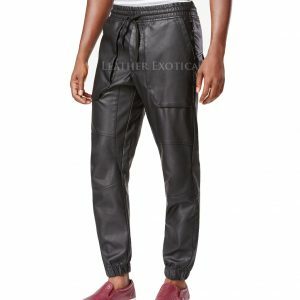 Categories: Best Seller, Leather Tops, Special Categories. 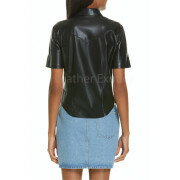 Grab a hold of this newly styled women leather shirt. This leather shirt is cool styled leather outfit for the day wear or an office wear. Grab this leather shirt today and make your style more mesmerizing. 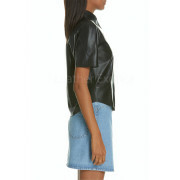 This leather shirt features the short sleeves and front button fastening with a snap. 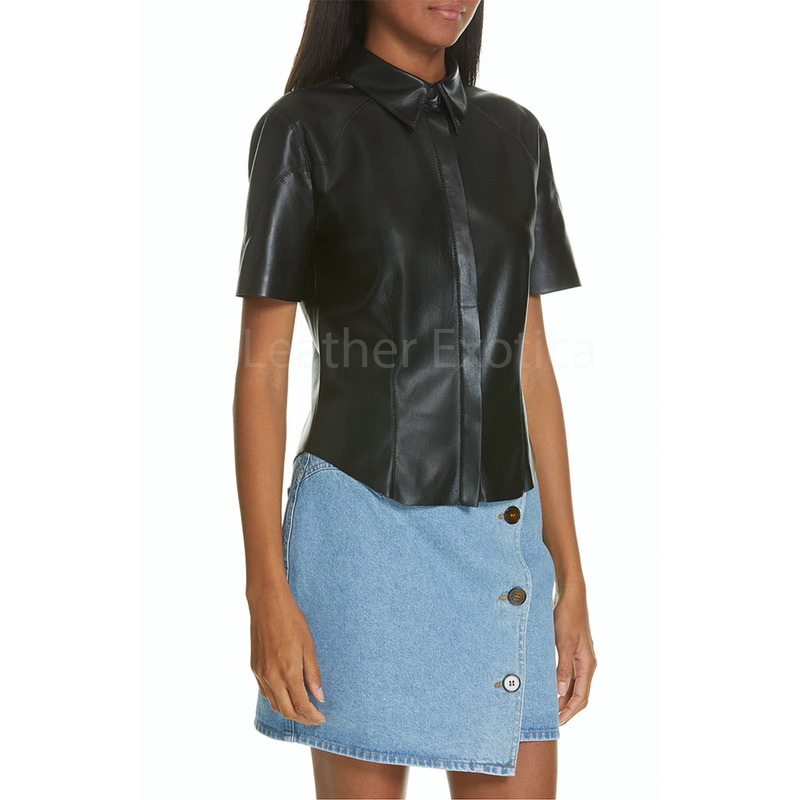 Uniquely designed this leather shirt is truly cool styled outfit for women. Available in all colours and size get this women leather shirt today and make your style more amazing.